Sunburn doesn’t have to be part of your summer. It’s summer again, and for most of us that brings at least one painful sunburn. That also brings with it the increased risk of skin cancer. Some people experience skin bumps or itchy hives or psoriasis when exposed to too much sun. But dermatologists have a little secret, an over-the-counter supplement that can help to prevent skin cancer and sunburn. It’s sunscreen in a little pill that you take daily. That supplement is Polypodium leucotomos , an extract of a tropical fern. According to various studies and the Sloan Kettering Cancer Center review, this fern extract inhibits the formation of free radicals and the typical oxidative damage brought about by UV radiation. 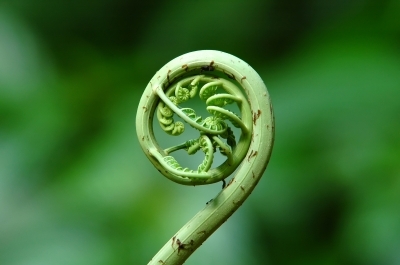 The studies found that fern extract protects skin from DNA damage and cell death, and from inflammation. The extract also preserves immune function during UV (ultra-violet) exposure. It’s believed to function this was because it’s a strong anti-oxidant which is preventing free radical damage. According to Amazon user reviews of one fern extract brand, Solaricare, people are using this extract before sun exposure to prevent their usual sunburn. They use it with their sunscreen, and often take several pills. These subjective reports state that in situations where they usually experience sunburn (such as driving to work in a long commute) that they do not burn. Another supplement to prevent the likelihood of sunburn is Astaxanthin. Astaxanthin is a non-vitamin carotenoid compound considered to be the most stable of all carotenoids. It’s often derived from shellfish, individuals with shellfish allergies should look for a brand such as Jarrow that derives Astaxanthin from the fermentation of the microalgae Haematococcus pluvialis. Astaxanthin does a remarkable job of protecting our skin from sun damage, sunburn, and the oxidative damage associated with aging. The effective dose is 12 mg. daily and it should be taken for a week prior to planned sun exposure. These supplements also reduce brown spots and the appearance of fine wrinkles. Combined with a healthy diet of fresh fruits and vegetable and sufficient hydration they are a recipe for healthy summer skin. It’s time to enjoy the sun with a lower risk of sunburn.